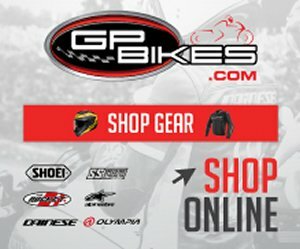 European motorcycle gear experts REV’IT! 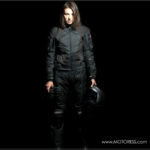 have added jeans to their diverse motorcycle gear product line for women riders. 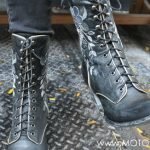 New REVIT Women’s Motorcycle Jean Madison and the Broadway are both beautifully designed and styles. Unlike standard jeans which can be stiff and uncomfortable after sitting for a while, these jeans will have you riding for days in comfort. They’re made with 12.5 ounces of Cordura® denim fabric to give you both abrasion resistance and that soft, worn in feel that we all love. Plus they’ve been made with COOLMAX® element, which means they’ re stiff and strong but will still wick moisture away and keep you comfortable. With two styles, the Madison and the Broadway, both are constructed with triple need stitching, safety stitching and feature KNOX® knee protectors – which can be adjusted and tailored to your height – for safety. The REVIT Madison Women’s Motorcycle Jean were created to capture the freedom and are the ultimate riding trousers. With a mid-rise, straight fit jeans offered in a classic Blue Denim wash, slightly distressed around the knees. In typical REV’IT! style, the Madison jeans are constructed with a COOLMAX technology that enhances breath-ability and helps regulate moisture by wicking it away. These jeans are perfect for those of us who want to ride in jeans, but need a little extra function. The REV’IT! Madison Women’s Motorcycle jean are designed to capture the freedom and are the ultimate riding trousers. The Broadway Jean offers the same fit, but a darker wash and a slightly beefier pant for the rider who wants all of her bases covered. These pants are equipped with PWR panels at the seat and knees that meet CE Level 1 standards and the option to add SAS-TEC armour in the hips. 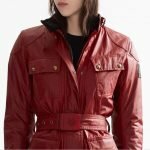 Suggested retail pricing is from USD199.99 / GBP122,00 but check with your local REV’IT! Retailer. Visit REV’IT!’s website to find a dealer near you!